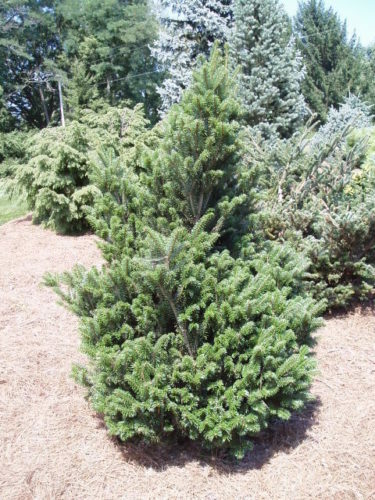 Abies fraseri 'Julian Potts' is a miniature with short green needles. Annual growth 25/32 inches (2 cm). Abies fraseri 'Julian Potts' The Harper Collection of Dwarf & Rare Conifers located at Hidden Lake Gardens in Tipton, MI. Photo taken August of 2005.